Penthouse apartment in a guest house with fantastic sea and mountain views. 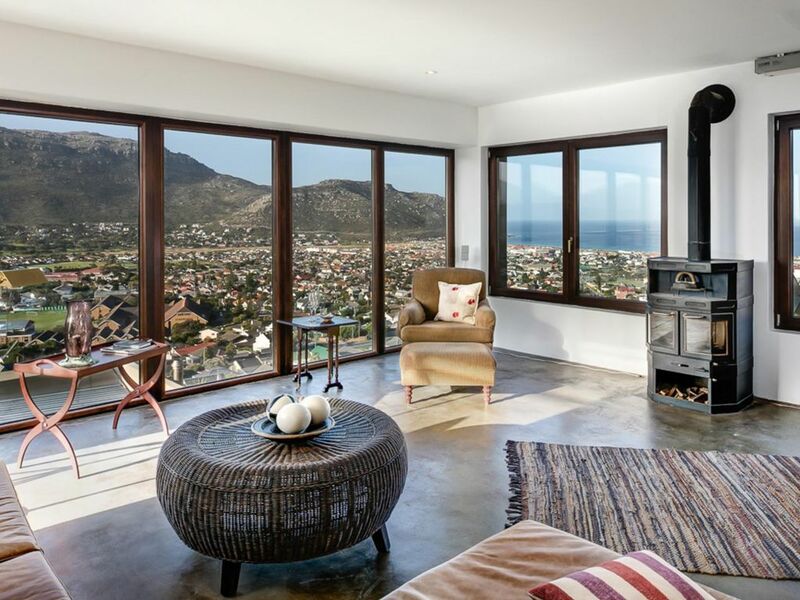 You have panoramic views across False Bay and the Silvermine Mountains up to Chapman's Peak. Beaches such as Fish Hoek, Noordhoek and Kommetije are nearby. Excellent restaurants and breakfast places are by car in 5 - to reach 10 min. The popular Golf Club Clovelly is within sight of the guest house. The apartment has a bedroom with large-scale bathroom and separate toilet, vollausgeattete kitchen, living room with panoramic views, large private balcony, garage, washing machine, extra sleeping for 2 people with toilet. The pool on the property is available for all guests in the house. The apartment has its own entrance. Suitable for 2 people or family of 4 persons. Minimum stay 7 nights. No smoking in the premises! Perfect location to explore the triangle between Cape Town, Cape Point and Stellenbosch. Penthouse provides a beautiful roof top terrace with and undisturbed view over False Bay and a perfect location for a breakfast (don’t go anywhere else for breakfast). For dinner you may find restaurants and bars in Kalk Bay (5 min). Appartement would need some fresh ups for the kitchen. Apart from that very good for a family of four. We enjoyed the stay there.